After a hearty late lunch yesterday afternoon, we kept dinner simple. 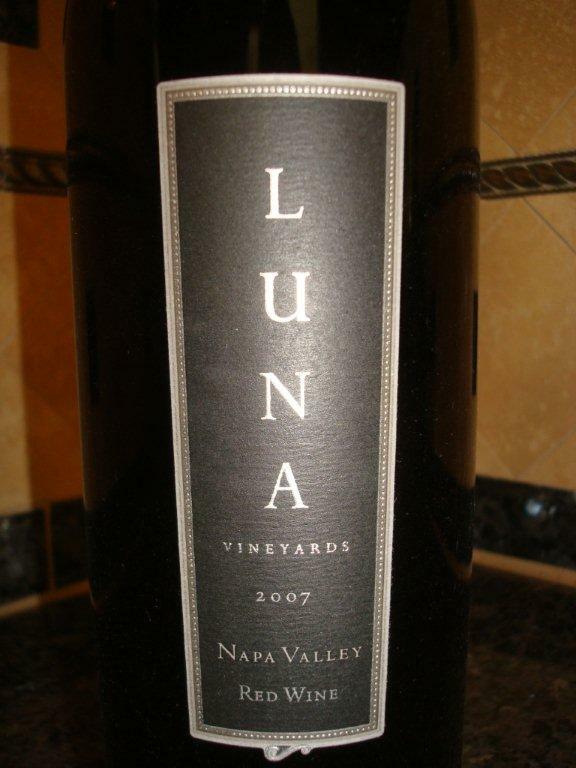 By that, I mean we opened a bottle of the newly released 2007 Luna Vineyards Napa Valley Red Wine and I made an assorted cheese plate with crackers and almonds. This wine is a Bordeaux-styled blend made from 55% Cabernet Sauvignon and 45% Merlot primarily sourced from Howell Mountain. In the glass, it was a dark garnet red with aromas of blackberries and cedar. 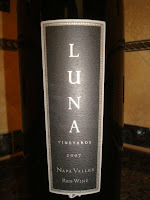 It had rich flavors of sweet cherries and berries and cocoa with smooth tannins and a medium length peppery finish. It was a delicious easy-drinking wine that should be even more interesting after some time in the cellar.